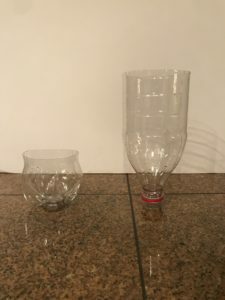 Take either one of the plastic bottles and mark it at the height you want your trap to be. 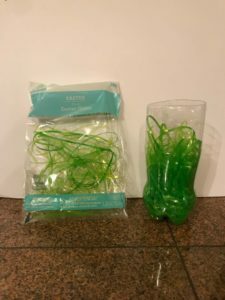 Once you’ve marked it with your pen take the knife and cut it until you have two parts of the plastic bottle like the picture shown below in Step 1. Step 2: Fill the bottle with grass. 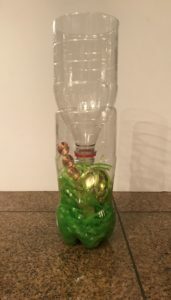 Take the bigger half of the bottle you just cut and the Easter Grass (the smaller half you can do whatever your creativity tells you!). 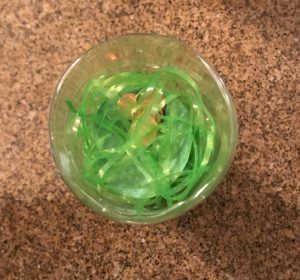 Take about half the package of the Easter Grass and put it into the bottle until the level of the grass satisfies your needs. But make sure you don’t put too much, we can’t have our leprechaun have an easy escape! 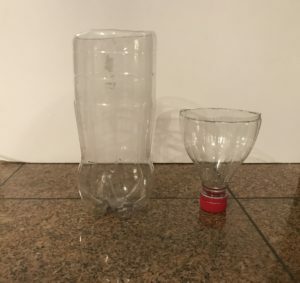 Take the second plastic bottle flip it upside down and mark the height you want the bottle to be from the cap and up. The bottom part can be made into your own imagination. Step 3: Cut the second plastic bottle. Take the shiny pennies and place some in the middle of the container, some under the grass as shown. Then take the golden egg and place it inside, because leprechauns just can’t resist gold or shiny things. Step 4: Add shiny things! Step 5: Merge both bottles together. 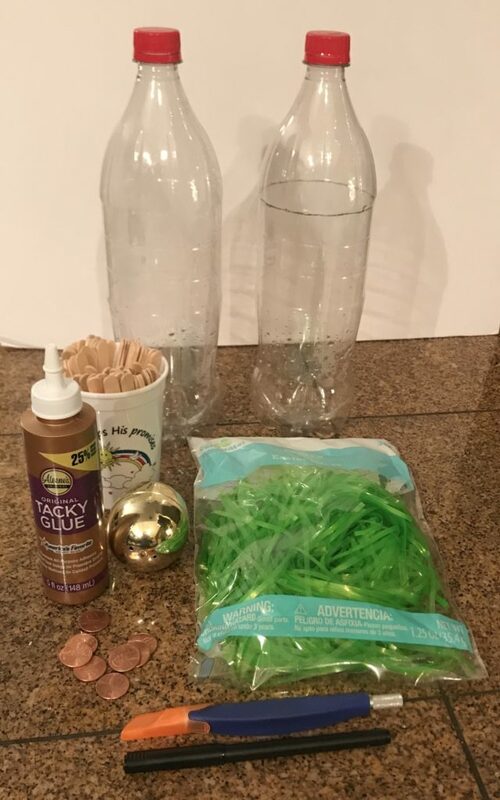 Once you have your pennies, gold egg, and grass inside the bottom half of the plastic bottle. Take the top half of the second bottle, unscrew the cap, and stick it in with the cap facing down into the grass. 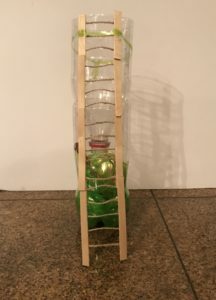 Step 6: Make your leprechaun a ladder! good distance from each other, (remember, they have short legs and arms! ), once you’ve found a good spot take a piece of your string, measure, then cut. 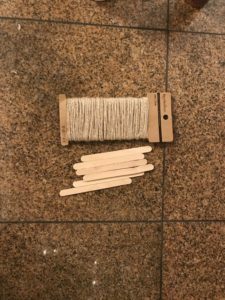 Place a small dot of glue then take each side of the string and put them onto of the glue you put onto the sticks. Just repeat until you’ve gotten to the top of the ladder. Step 7: Watching glue dry. Now to let your ladder dry. 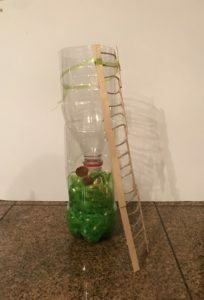 Well now that your ladder looks awesome lets attach it to the rest of our leprechaun trap. 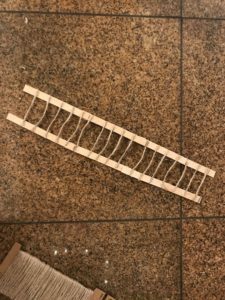 Place the ladder at the top of your trap, apply some glue to the back of the top Popsicle sticks and secure it with a piece of the grass. Step 8: Attach the ladder to the trap. Now that your Leprechaun Trap is completed put it in a spot where he/she can get to it. Now it’s the waiting game! Let us know if you were able to catch a leprechaun!